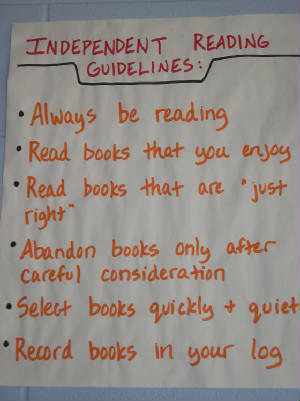 How Do I Provide My Students With a Literacy Rich Learning Environment? The classroom environment is a key element in the success of the students within its walls. 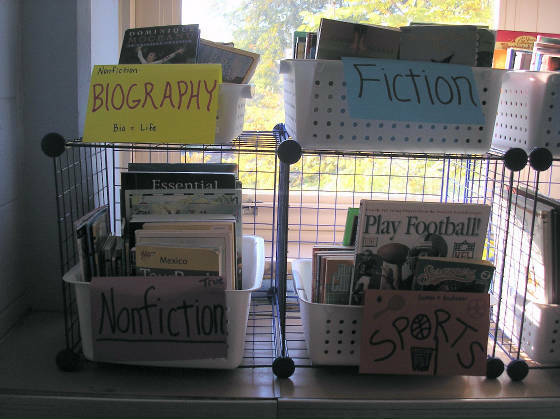 Some of the most important elements of the classroom learning environment consist of the print material, the physical arrangement and the overall condition of the classroom (i.e. neat, clean, ect). 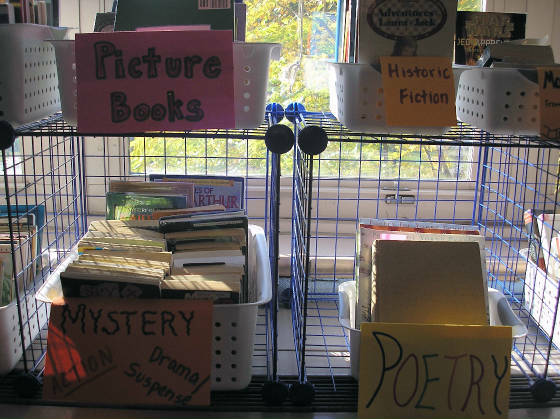 As professionals, we know that the items presented here do not represent the totality of the elements of an efficient and functional classroom environment. To begin with, we will focus on the task of providing our students with a print-rich environment which is both efficient and instructive. As many of us know, there a shift away from mass manufactured print material. So, then we ask ourselves: what do we do now? 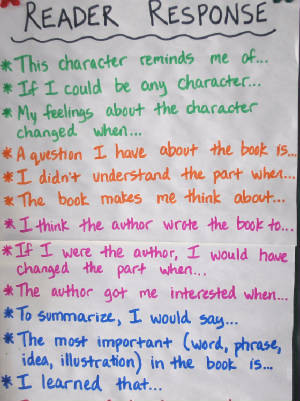 Well, one of the best answers to this important and valid question can be found in "Guiding Readers and Writers Grades 3-6" by Irene C. Fountas and Gay Su Pinnell. 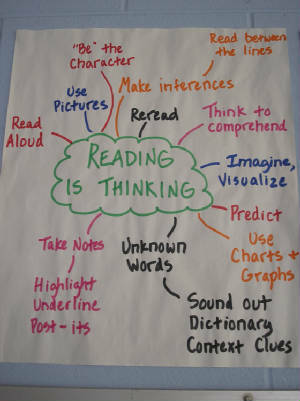 In chapter nine, Getting Started: The First Twenty Days of Independent Reading, there are multiple examples of teacher-created posters which serve as instructional tools and as reinforcers of prior knowledge. Some of the posters and elements (which you will see below) come from other chapters of the book, however, the majority of the photographs (which come from actual classrooms) are a direct result of chapter nine of Fountas and Pinnell. Browse through the images below, think about the common aspects of the instructional posters and materials and then, if you would like, read the brief commentary following the gallery of photographs. 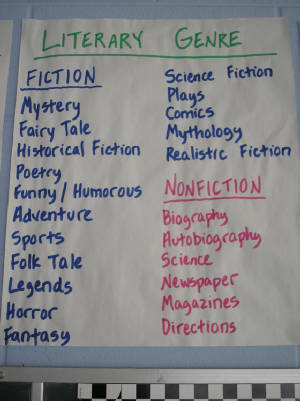 Everyone's classroom has something to offer regarding classroom environment and these elements will be, with permission, posted as time progresses. Enjoy the gallery! The common characteristics of these photographs, as can be seen, are that they are easy to read by students and provide explicit directions regarding the learning task. 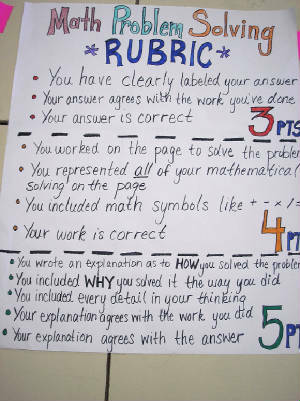 These teacher-created posters and labels serve as instructional aids therefore, the classroom itself becomes a learning tool for the students. 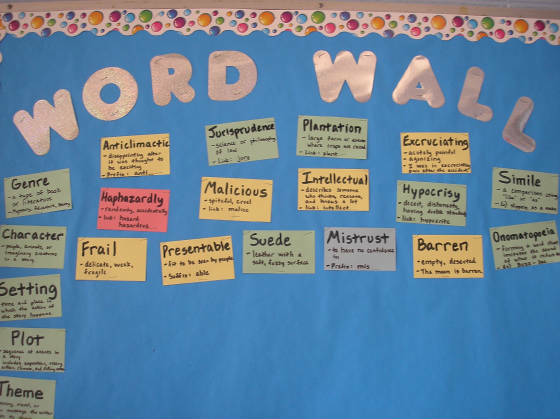 Note: the word wall is a work in progress and thus, is a fluid and changing element. Teachers, if you have any questions or additional information, please do not hesitate to email me at my CPS email (my CPS email is not posted on this website, due to the fact that this site is a public entity and is accessible by everyone, whereas the CPS email is a private domain and has restricted access). There will be additional photographs as this site is updated, so please check back soon. Thank you for taking the time to read and view this salient information regarding classroom environment.